America’s founding fathers read intently Gibbon’s account of how Augustus eviscerated the Roman republic’s remaining premises even while persuading them that he was restoring their freedoms. Now we know why. Never? Ever? Like never before? As Trump puts his forgotten Americans to work while rolling back overtime pay, benefits, and union-organizing rights, and while protecting those who have already enriched themselves, and channels resentment against only certain neoliberal elites who were complicit in the theft, the word “dictator” will be no euphemism. Let me explain why, in the days ahead, we’ll be left breathless by swift, forceful moves (or lurches) toward an authoritarian, Constitution-warping presidentialism. Trump’s Inaugural denunciations of “politicians who prospered as jobs left and factories closed” – coupled with his vow that “the American carnage” caused by the hiring and buying of non-American people and products and deepened by crime, gangs, and drugs, “stops right here, stops right now” – leave him no choice but to humble or destroy all those “politicians” who resist him. It won’t matter whether they’re principled conservatives defending the Constitution itself or neoliberal Democrats who long ago betrayed the New Deal by draping a thin raiment of “diversity” over an increasingly self-serving and, yes, sometimes smug, elitism. We’ve already seen Trump threaten violence and the imprisonment of his political adversaries and fierce critics. And we’ve watched some of them, from Chris Christie to Mitt Romney, crawl to him virtually on their hands and knees and be humiliated publicly. We’ve watched Trump grab Senate Majority Leader Mitch McConnell by some other part of his anatomy by turning his wife Elaine Chao, into a cabinet member whom he can fire in a heartbeat. We’ve heard Trump say that he could stand in the middle of Fifth Avenue and shoot someone without losing his supporters. We’ve watched him call on “Second Amendment People” to deal with Hillary Clinton, whom he also vowed to prosecute and “lock up,” only to declare, even more frighteningly, after defeating her, that “I don’t want to see her hurt,” as if that were his seigneurial prerogative, not a matter for an independent judiciary. What we may not have noticed is that this frightening course has become path-dependent, and historically very familiar. For one thing, he’s less a challenger than the would-be savior of the American (and global) “regime” of casino-style financing, predatory lending, and degrading, intrusive consumer marketing that has made this financer of casinos and a predatory self-marketer its president. 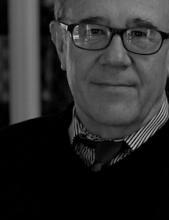 Some leftists and liberals, among them the leftist writer Corey Robin and the Constitutional law professor JackBalkin have explored the possibility that Trump may fit somewhat normally into the political scientist Stephen Skowronek’s illuminating paradigm, in The Politics Presidents Make, of regime-changing or regime-supporting American presidents. Robin at times seems almost sanguine that Trump is throwing a monkey wrench into neoliberal/market consensus. Balkin comes closer to acknowledging the possibility of dictatorship. Many presidents have struggled to balance public mobilizations with effective, pragmatic governing, all while coping with their historical moments’ particular clusters of interests and ideologies (“regimes,” as Skowronek calls them), such as the New Deal or Reaganomics. Some come to office, as did FDR and Reagan, championing ‘regimes’ that are rising. Others have to shore up the faltering regimes they inherited because no clear alternative seems viable. Right now, neither the Reaganite nor New Deal regimes seem viable in a rapidly changing, globally interdependent, democratically fragmenting world. Obama was caught between, on the one hand, the cluster of Reaganites and neoliberals, whose faltering but still powerful markets uber alles regime he helped to bail out and stabilize, and, on the other hand, his own base of seekers of a new New Deal whose time had not yet come. Trump broke through… with a purely electoral mobilization trading in hatred, deceit, and delusion -– a triumph of marketing, not governing. Trump broke through that paralysis in public imagination and discourse with a purely electoral mobilization, trading in hatred, deceit, and delusion – a triumph of marketing, not governing. It’s all well and good to put some of the blame (as I’ve often done) on smug neoliberals who betrayed the New Deal itself by draping a thin veneer of “diversity” over a self-serving, self-righteous elitism that has divided “affirmative action” blacks from most blacks and “lean in,” corporate-managerial women from most other women, all while forgetting and even openly dismissing Trump’s “forgotten” (and “deplorable”) Americans. But stoking those Americans’ legitimate resentments cannot produce a better regime, and Balkin acknowledges that Trump may default to ever-more dictatorial measures to channel popular disillusionment. Trump clings to the elements of the failing Republican market orthodoxy that have profited him personally, but when he faces Americans who’ve been screwed by those same elements, he lurches back to old nationalist, protectionist, statist compensations that Reaganism simulated but sapped. Trump’s emphasis on national greatness (like that of David Brooks and William Kristol, who touted “National Greatness Conservatism” a decade ago) was plausible for America when World War II had flattened most other national economies. It flourishes now only in populist denials of new realities. 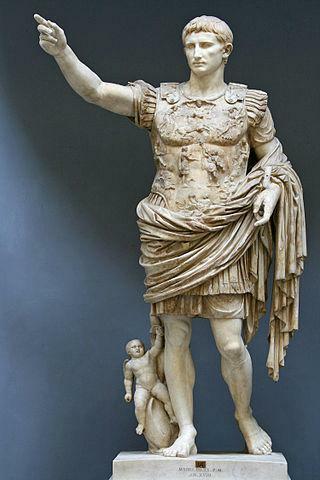 “The reformation of the senate was one of the first steps in which Augustus laid aside the tyrant, and professed himself the father of his country. He… expelled a few members, whose vices or whose obstinacy required a public example, persuaded [others] to prevent the shame of an expulsion by a voluntary retreat,… But whilst he thus restored the dignity, he destroyed the independence of the senate. The principles of a free constitution are irrevocably lost, when the legislative power is nominated by the executive. 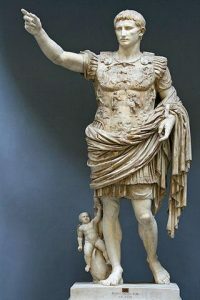 “Before an assembly thus modelled and prepared, Augustus pronounced a studied oration, which displayed his patriotism, and disguised his ambition. …[He said that] the humanity of his own nature had sometimes given way to the stern laws of necessity… He was now at liberty to satisfy his duty and his inclination. He solemnly restored the senate and people to all their ancient rights; and wished only to mingle with the crowd of his fellow-citizens, and to share the blessings which he had obtained for his country. The more subtly impoverished and imprisoned we Americans become in the regime that has given us Donald Trump, the more we also resort to palliatives in pills, vials, syringes and empty spectacles that leave us, as Cicero said of his fellow Romans, “too ill to bear our sicknesses or their cures,” capable only of occasional, mob-like eruptions and cries for a strongman who boasts that, having already bought the politicians whose deregulatory excesses and corporate welfare payments have stupefied and imprisoned America, he can “fire” them. I hope that we Americans will find ways to do whatever we can to prove me wrong.